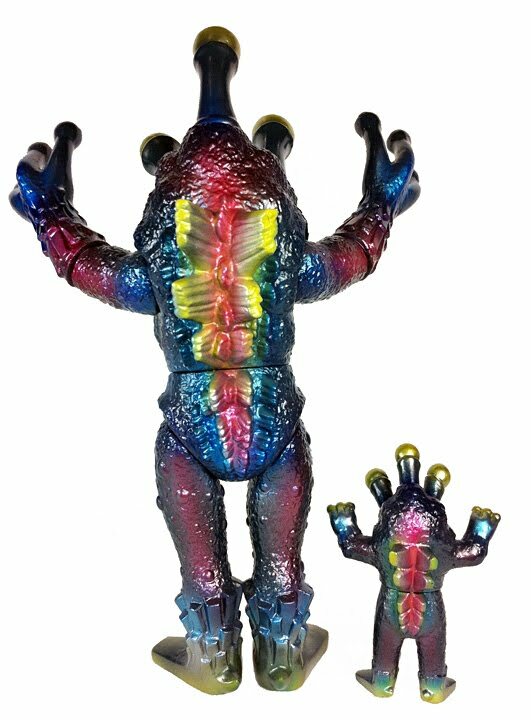 I painted this custom , one-of-a-kind set of Alien Argus for the Kaiju for Japan benefit show. Titled ” Argus Father and Son for Japan ! ” you can buy it via the Kaiju for Japan blog I believe on Friday April 22, 2011. Check their site for complete details and I hope you can support the people of Japan !